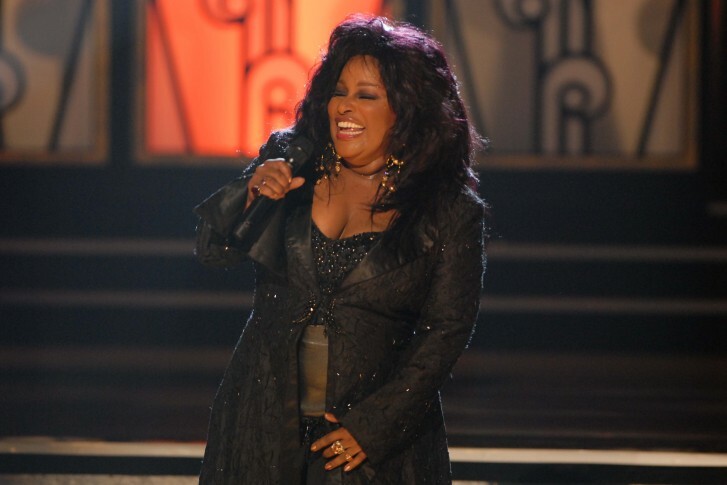 Ten-time Grammy winner Chaka Khan rings in the new year at the Kennedy Center. WASHINGTON — How’d you like to ring in the new year with the Queen of Funk? Ten-time Grammy winner Chaka Khan makes her solo Kennedy Center debut for a special New Year’s Eve party on Dec. 31. Khan performs at 8:30 p.m. in the Concert Hall, followed by a Grand Foyer Party until 1 a.m. with dancing, Champagne, balloon drop and midnight confetti countdown. “For my show, I’ve been at it so long, I have hits throughout probably the last three generations. So I have to really think out my shows and try to make everybody happy. So there’ll be all the hits in there from Rufus onto my own career, right up to today. Just a walk through time,” Khan tells WTOP. Born Yvette Marie Stevens, her “walk through time” began in 1953, on the South Side of Chicago, where at age 11, she and her friends formed a music group called The Crystalettes. “Two friends of mine, a girl named Sinise Levy, another girl named Nikki Scott and my sister Taka and myself. We were all sitting on our porch looking at the snow come down onto the sidewalk and how it was looking like crystal, and I said, ‘I know! Let’s call our group The Crystalettes,'” she recalls. Khan’s mom made their costumes, styled their hair and escorted them to local talent shows. Still, Khan never thought she had a future in music. “During all this time, I didn’t really want to be a singer. I was looking into (being a) botanist or looking into biology or teaching or something like that. That’s where my heart was,” she says. But all that changed when she quit high school in 1969 and ran away from home at age 16. “When I saw the reactions that I was getting from singing, I said, ‘Oh, this is a breeze. This is something I just do for fun.’ So that’s where the singer came in,” she says. The rest of us are lucky she didn’t choose botany. Think of all the great music we would have missed. Indeed, Wonder recorded “The Secret Life of Plants” soundtrack in 1979, shortly after providing “Maybe Your Baby” for Khan’s newly formed group Rufus. Teaming with Kevin Murphy and André Fisher, Rufus became a household name after producer Bob Monaco introduced them to Stevie. That “wocka wocka” song became the classic “Tell Me Something Good” (1974), reaching No. 3 on the Billboard Hot 100 and winning Rufus a Grammy for Best R&B Performance by a Duo or Group. “I remember us all being very excited and blown away. And of course it gives you more gas, you say, ‘OK, we can do this for real,'” she says. Rufus hit the gas and landed another major hit with “Sweet Thing,” reaching No. 5 on the Billboard Hot 100 and No. 1 on the Billboard Hot Soul Singles. The song was later covered by Mary J. Blige. In 1978, she released her debut solo album, “Chaka,” spawning “I’m Every Woman,” which hit No. 1 on the Billboard Hot Soul Singles, No. 21 on the Hot 100 and No. 30 on the Hot Disco Songs. It might very well be her signature song, later covered by the late Whitney Houston. While Chaka Khan & Rufus picked up another Grammy for the 1983 hit song “Ain’t Nobody,” tensions began to mount over Khan’s rising solo career outside of the band. “I was feeling very weird. I’ve always been with a band or a group, and I loved that, the anonymity of that. Rufus didn’t start falling apart until the record label started to put my name out front, ‘Chaka Khan & Rufus,’ that was the beginning of our downfall. So I had a problem with that whole thing. So when we had to break up and I was on stage by myself … it felt really weird for a long time,” she says. After the split, Khan saw continued success, winning Best R&B Female Vocal Performance on the album “Chaka Khan” in 1984, Best Vocal Arrangement for her work with Arif Mardin on “Be Bop Medley” in 1984, and Best R&B Vocal Performance for covering Prince’s “I Feel for You” in 1985. The latter-most became a hit, but it ironically happened by chance as both artists were in San Francisco. “It was fabulous. It was Ray and Quincy (Jones). It’s always great to work with Quincy,” she says. Since then, over the past 25 years, Khan has lost track of all the Grammys she won, including “The Woman I Am” in 1993; her Funk Brothers group cover of Marvin Gaye’s “What’s Going On;” her duet with Blige on “Disrespectful” in 2008; and winning Best R&B Album for “Funk This” in 2008. The decades upon decades of accolades make her one of the most prolific music artists of all time. In a recent musician poll by VH1, Khan ranked No. 17 on the 100 Greatest Women of Rock & Roll, ahead of legends like Gladys Knight, Etta James, Linda Rondstadt, Joan Jett and Pat Benatar. It’s rare to see such a legend in concert, let alone at the Kennedy Center on New Year’s Eve. Tickets range $55 to $149, giving access to the show and after party. Click here for more info.